The new AFL season is almost upon us and footy fans and punters are preparing to place their bets for the 2017 campaign. While many will focus their attention on placing their wagers on the Grand Final winner or backing teams to finish in the top eight, others are looking at more niche markets. 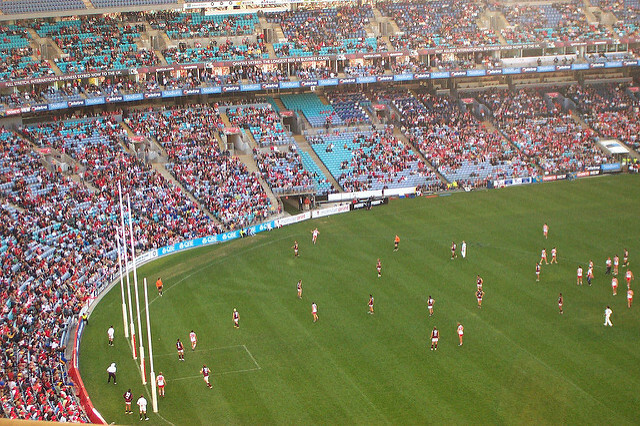 The most obvious benefit of betting on this alternative option is the bigger odds available, as well as the added excitement it brings to a regular AFL campaign. One particularly popular aspect of an AFL season among punters is the race for the Coleman Medal; awarded to the player who kicks the most goals during the regular season. West Coast's Josh Kennedy made it back-to-back wins last year when he beat his 2015 home-and-away tally of 75 - including a sensational 10-goal game against Carlton - by reaching the 80-goal mark, the most of any player since Brendan Fevola scored 86 in the 2009 campaign for the Blues. The Eagles man will be hoping to make it a hat-trick of Coleman Medals this year but will be pushed all the way by a string of prolific goalscorers. So, let's take a closer look at the leading contenders for this year's Coleman Medal. Josh Kennedy: Perhaps unsurprisingly, Kennedy will start the season tipped by a lot of people to finish as the league's leading goalscorer for a third year in a row. While West Coast are at around 11/1 with the latest AFL odds, Kennedy's presence in this Eagles team gives them a weapon that could be capable of helping the team go all the way in 2017. For the dynamic forward, this could well be the year he makes history and reaches that 100-goal mark. Lance Franklin: Finishing just six goals behind Kennedy in the Coleman Medal ladder last season was a man who has topped the regular goalscoring charts on three occasions during his illustrious career. At 30 years old, Franklin is playing as well as he ever has done, and the Sydney Swans star will be crucial to the club's hopes of bouncing back from last year's disappointments and upgrading their minor premiership flag with the big one in 2017. Jeremy Cameron: If Kennedy and Franklin are the present, Giants youngster Jeremy Cameron is definitely the future. The 23-year-old has enjoyed an incredible start to life as a professional, scoring 236 goals in less than 100 AFL appearances. With Greater Western Sydney expected to be extremely strong in 2017, the forward's goals will again be vital to the Giants challenging for honours this year. Playing in an exciting GSW team, the finisher knows he won't be short of opportunities this season. So, rather than only betting on who will win the Grand Final or which team will finish the regular season at the top of the AFL ladder, maybe the Coleman Medal is an area you should be looking at.